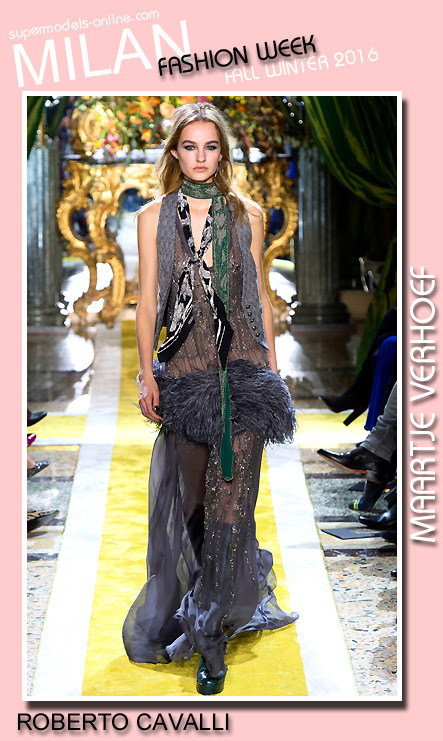 Super Maartje Verhoef is best on the runway day one of Milan Fashion Week walking for Roberto Cavalli Fall Winter 2016 by Peter Dunas. There is a reason why we named Maartje Verhoef catwalker of the year The lines and angles of her shoulders and arms, along with the crisp yet fluidity of her walk has a magic flow on the runway. She can go from high energy to style and grace, metamorphosing any look that is needed to match the show she is walking.